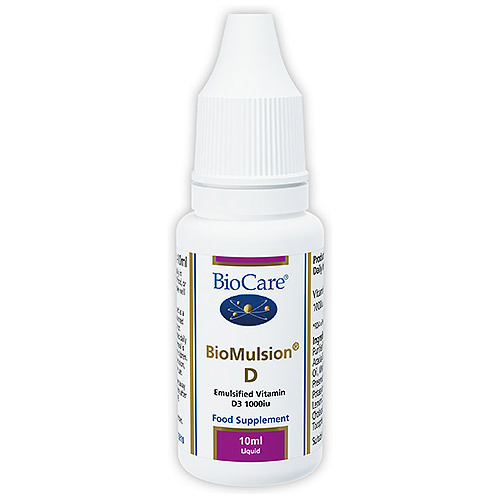 BioMulsion D is a potent vitamin D supplement that is emulsified for maximum absorption and superior bio-availability. It provides 1000iu vitamin D3 per daily intake in a palatable lemon flavoured liquid. Ensuring BioCare products are optimally absorbed has always been one of Biocare`s overriding principles. With that in mind Biocare are proud to introduce the excellent new range of BioMulsions, delivering high potency vitamins using cutting-edge emulsification technology. 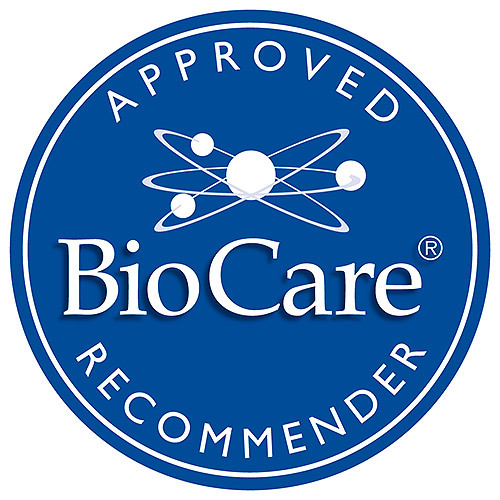 The new BioCare BioMulsion range raises the bar for clinically effective vitamins and sets a new gold standard for practitioners who value clinical effectiveness. Fat-soluble vitamins are hydrophobic, meaning that they do not readily dissolve in water, including the aqueous environment of the digestive tract. 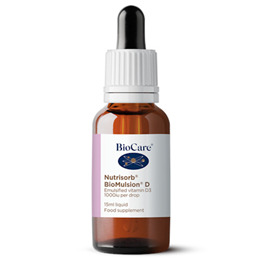 BioCare`s emulsification technology involves pre-emulsifying the fat-soluble vitamin and dispersing it into a simple water-based, natural fruit flavoured liquid. This essentially pre-digests the nutrient, considerably increasing its availability for absorption. Purified Water, Fructose, Acacia Gum, Extra Virgin Olive Oil, Medium Chain Triglycerides, Natural Lemon Oil, Preservatives (Citric Acid & Pottassium Sorbate), Vitamin D3 (as Cholecalciferol), Antioxidants (DL-Alpha Tocopherol & Natural Mixed Tocopherols), Sunflower Oil. Below are reviews of BioMulsion D - Liquid Emulsified 1000iu Vitamin D -10ml by bodykind customers. If you have tried this product we'd love to hear what you think so please leave a review. Best vitamin D on the market. Tastes good and easy to use. A must for winter months. For the whole family. Lovely lemony taste.